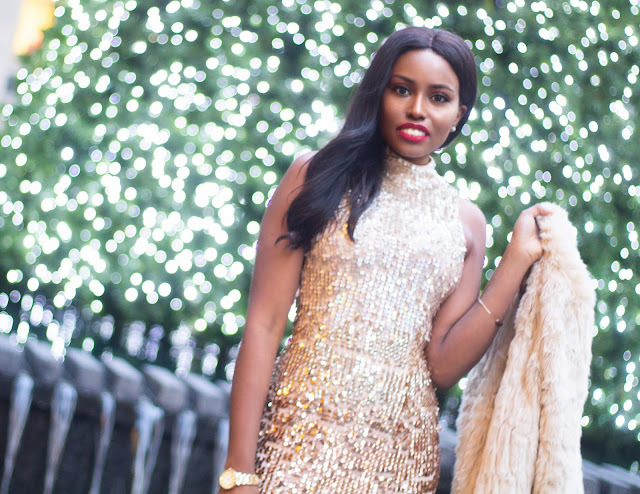 I cannot think of a New Year's eve outfit without sequin. I love this french connection number because even though it is gold it is not too loud because of the ombre effect. Some New Years Eve outfits can only be worn on New Years Eve but I feel that this dress can be worn for other occasion after the holidays. When I saw at Macy's Herald Square, I knew I had to have it. Nowadays when I look for pieces, I look for items that will work with other pieces in my wardrobe and I create different mental looks. 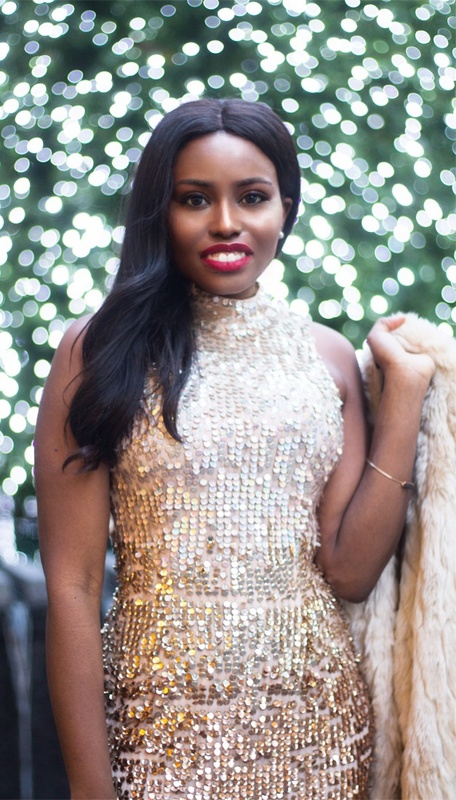 When I saw this dress, I instantly thought of my gold pumps and this faux fur coat that I bought at Forever 21 last Winter. I love the contrast and glam effect that the coat brings to the look. With all the glam and sparkle happening in this outfit, I kept my accessories very simple and minimal (which I always do even without the sparkle, lol). If you are interested in this dress, you can still find it at Macy's or Lord and Taylor and girl it is on sale for at least 40%. Hope you all have Happy New Year!! 2016 is about to be the best year ever, Oh Yeah!! !